UPDATED: Fri., March 9, 2018, 10:17 a.m.
RICHLAND – A new report says mistakes and mismanagement are to blame for the exposure of workers to radioactive particles at the Hanford Nuclear Reservation in Washington state. 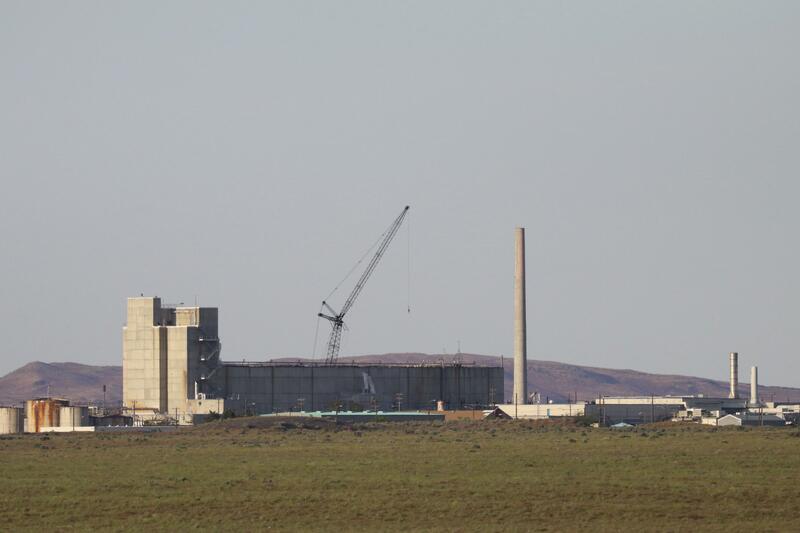 Contractor CH2M Hill Plateau Remediation Co. on Thursday released its evaluation of what went wrong in December during demolition of the nuclear reservation’s highly contaminated Plutonium Finishing Plant. The Tri-City Herald reported the study said primary radioactive air monitors used at a highly hazardous Hanford project failed to detect contamination. Then, when the spread of contamination was detected, the report said steps taken to contain it didn’t fully work. At least 11 Hanford workers checked since mid-December inhaled or ingested small amounts of radioactive particles. Private and government vehicles were contaminated with radioactive particles. The sprawling site in southeastern Washington contains more than 50 million gallons of radioactive and toxic wastes in underground storage tanks. It’s owned by the U.S. Department of Energy, which hires private contractors to manage the cleanup work. Hanford was established during World War II and made the plutonium for the atomic bomb dropped on Nagasaki, Japan. The 560-square mile site also made most of the plutonium for the nation’s nuclear arsenal during the Cold War. The report released Thursday said before the December spread of contamination, Hanford officials were relying primarily on continuous air monitors that check for airborne radioactive contamination in near real-time and sound an alarm if workers may be in danger. The monitors had worked in the past, including in June, when alarms sounded and workers were told to shelter in place. But the monitors did not detect airborne contamination in December, possibly because some of the particles that spread were too heavy to stay aloft. Officials had other signs that there might be a problem, including contamination found in monitors that workers wear on their lapels, yet continued to rely on the continuous air monitors. The CH2M report, which is now being reviewed by a Department of Energy panel, listed 42 steps to take in response to its findings, like changes to training for radiological workers. Published: March 9, 2018, 10:17 a.m. Updated: March 9, 2018, 10:17 a.m.